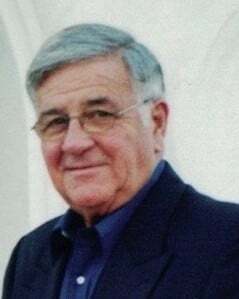 Raymond Zulli, 87, passed away February 2, 2019, at his home in Tampa, Florida. He was born September 1, 1931, in Cleveland, OH, the son of Louis and Emma (Charavell) Zulli. Ray graduated from West Tech High School in Cleveland OH, Class of 1949. He served in the U.S. Army during the Korean War. After his service, he began a 60-year career in the building industry, starting out as a masonry contractor, working his way to a General Contractor throughout the balance of his career. He was active in the Cleveland Builder’s Association until his move to Tampa in 1979. In 1990, he was awarded Builder of the Year by the Builder’s Association of Greater Tampa. Raymond married Barbara Rees in 1958, celebrating 60 years of marriage in October. In addition to his parents, he was predeceased by his siblings, Anna Morabito, Joseph, Louis and Marilou Zulli. Surviving in addition to his wife, Barbara (Rees) Zulli, are his daughters, Geralynn Given and her husband Jeffrey, Pamela and Deneen Zulli; three grandchildren, Jackson and Tucker Given and Annie Ray Karch along with many nieces, nephews and close family friends. Such a wonderful and kind man. You always welcomed my son and I into your home as family. The world is a better place because you dwelt upon it. Love and miss you! Ray, You will always be remembered as a wonderful, funny, caring, companion, and good friend.